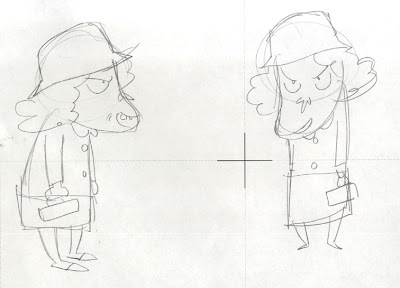 This bad little granny is one of my favorite characters from an upcoming project I'm working on. I wanted to share her with you. I will reveal more about this project later. By the way, some of you have emailed interesting questions you have about Korean animation that I'll try to answer on here. Feel free to continue sending those questions in! Did you draw that? From Stan the Man! Nope. Didn't draw it. But I created that character, though.